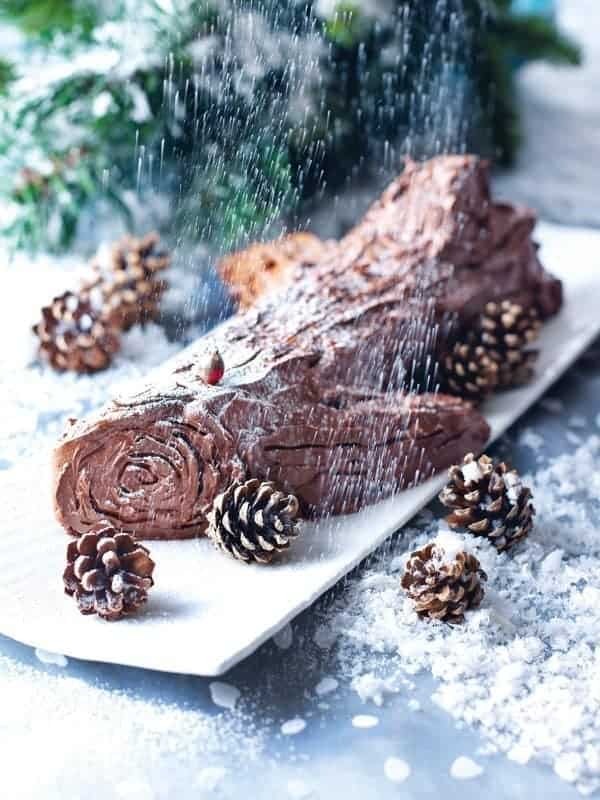 I have wonderful memories of enjoying yule log cake with family and friends, and even leaving shoes out the front door for presents. 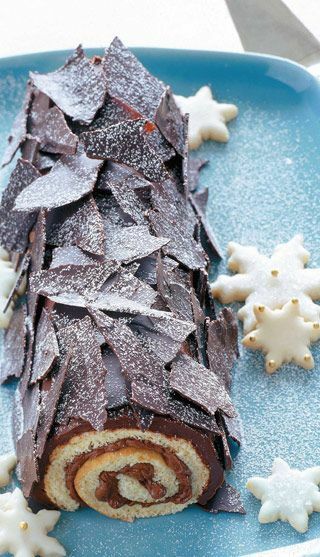 This is a traditional cake in Belgium, France & Switzerland around Christmastime. 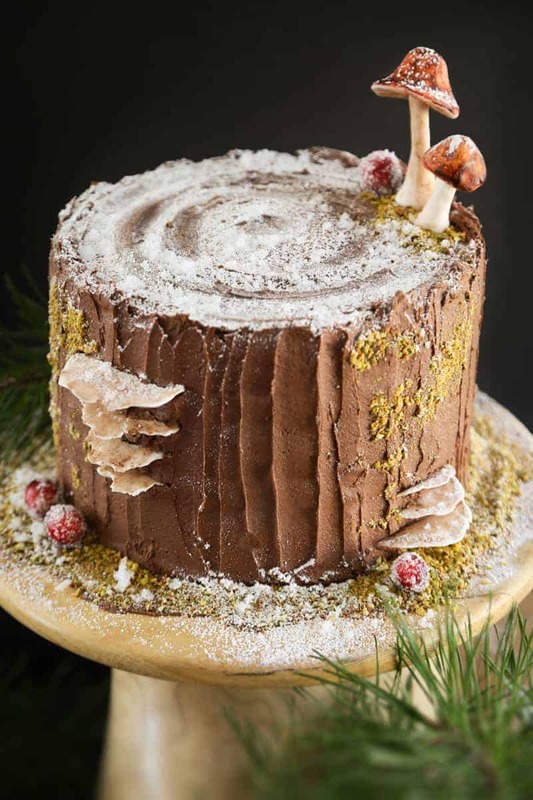 Our family likes to celebrate and eat this cake during the winter solstice, and add more woodland decorations to our Christmas tree. 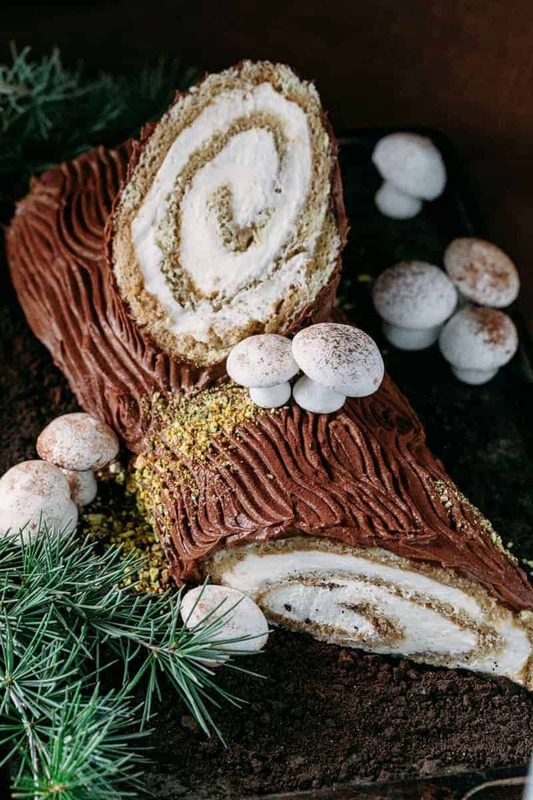 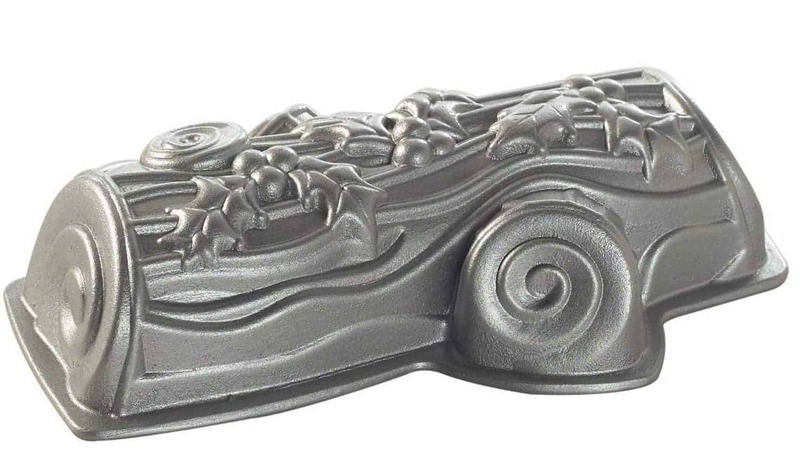 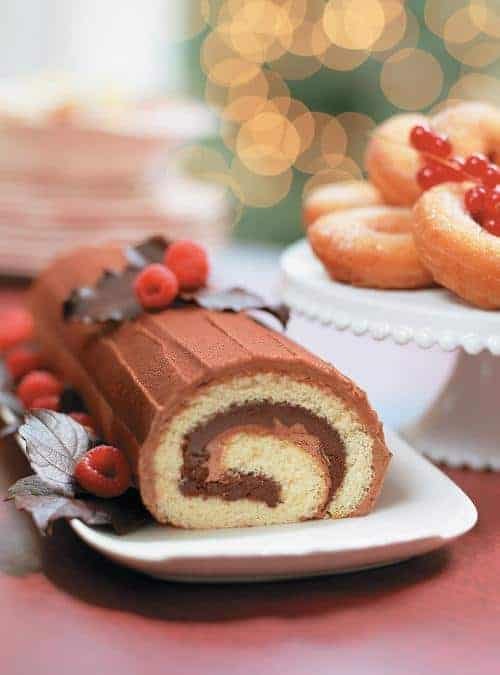 If you didn’t want to make the fancy rolled up Bûche de Noël you could bake a cake in the Nordic Yule Log cake pan but it really wouldn’t be the same at all! 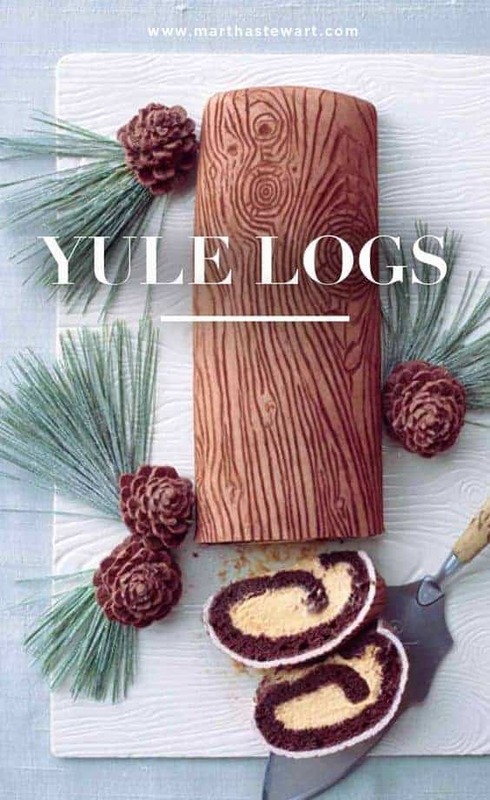 Easier if you just wanted the fun of decorating a yule log. 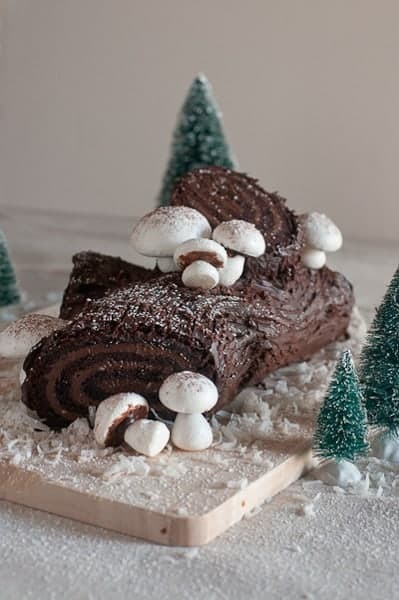 One fun thing to do with a yule log is to add little trees, mushrooms & woodland inspired ornaments. 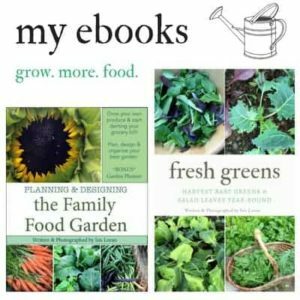 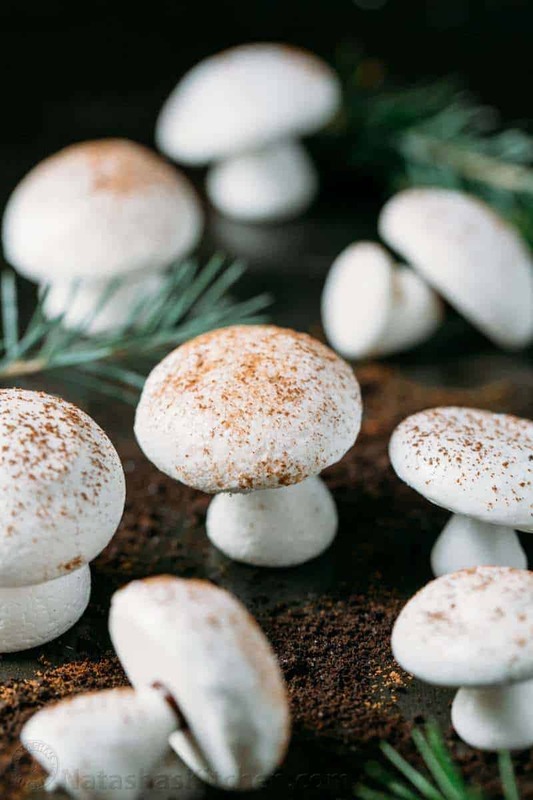 These little evergreen trees are a common addition, as are homemade meringue mushrooms. 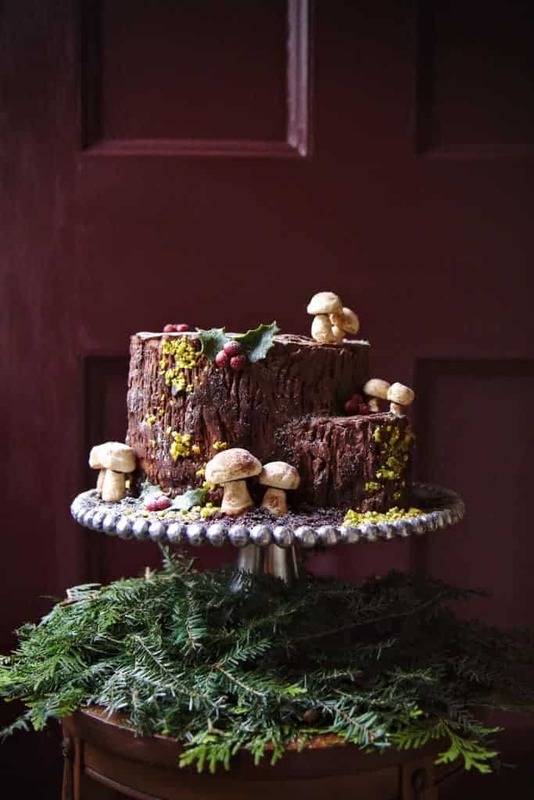 Making these meringue mushrooms can be a bit technical for the beginner so you can also buy woodland mushrooms in cake decoration sets like this set. 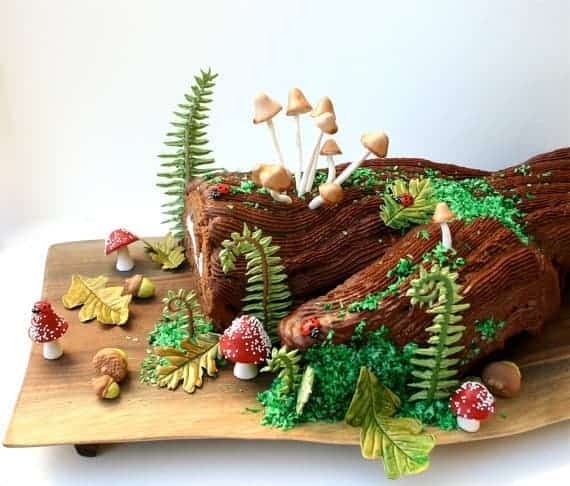 This etsy shop has great yule log decorations as you can see below but they’re currently taking a break, but contact them as they’ll be re-opening!